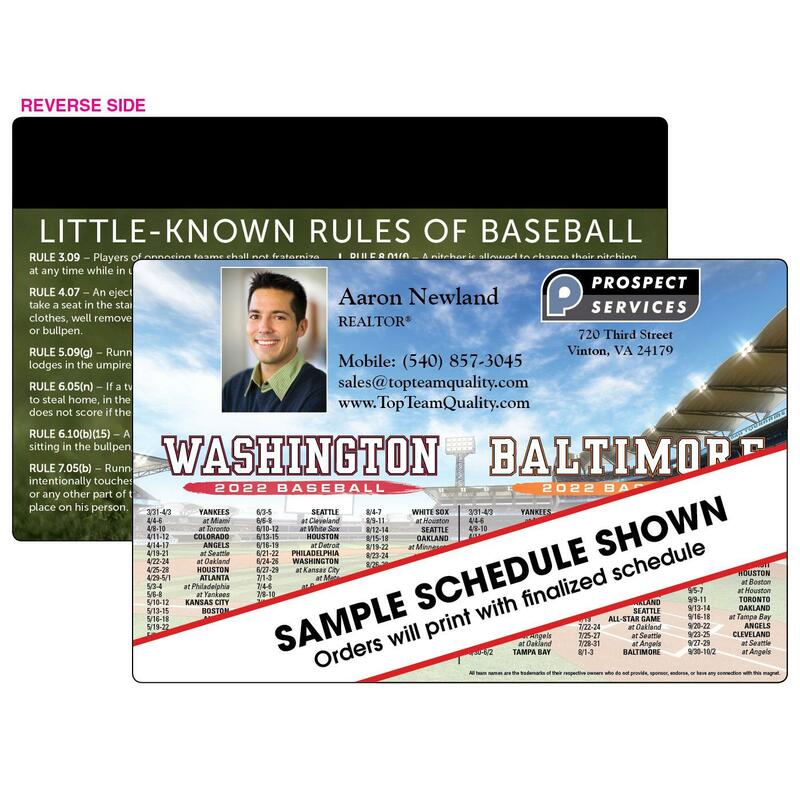 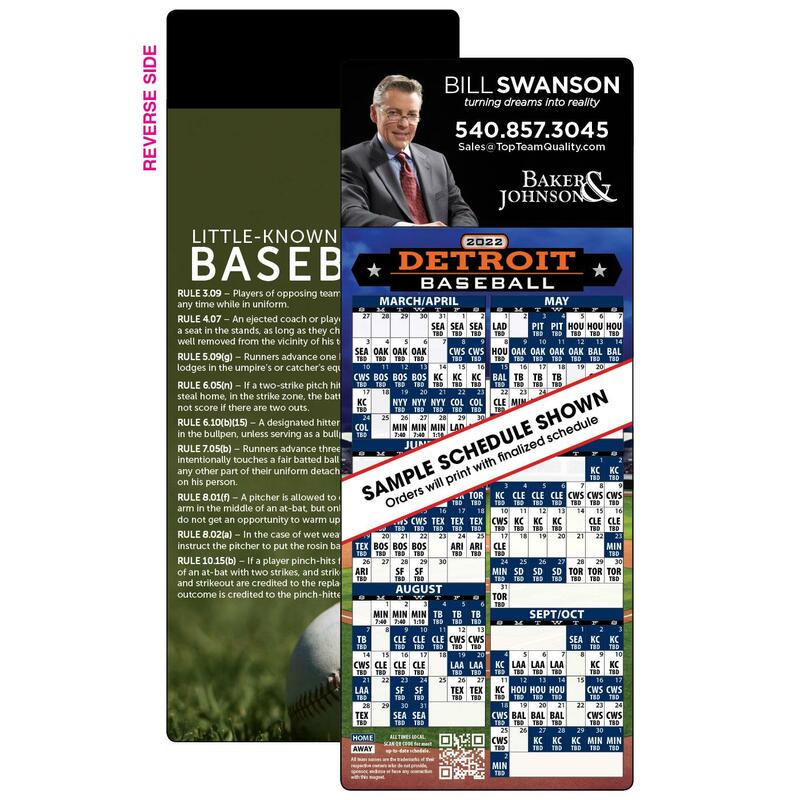 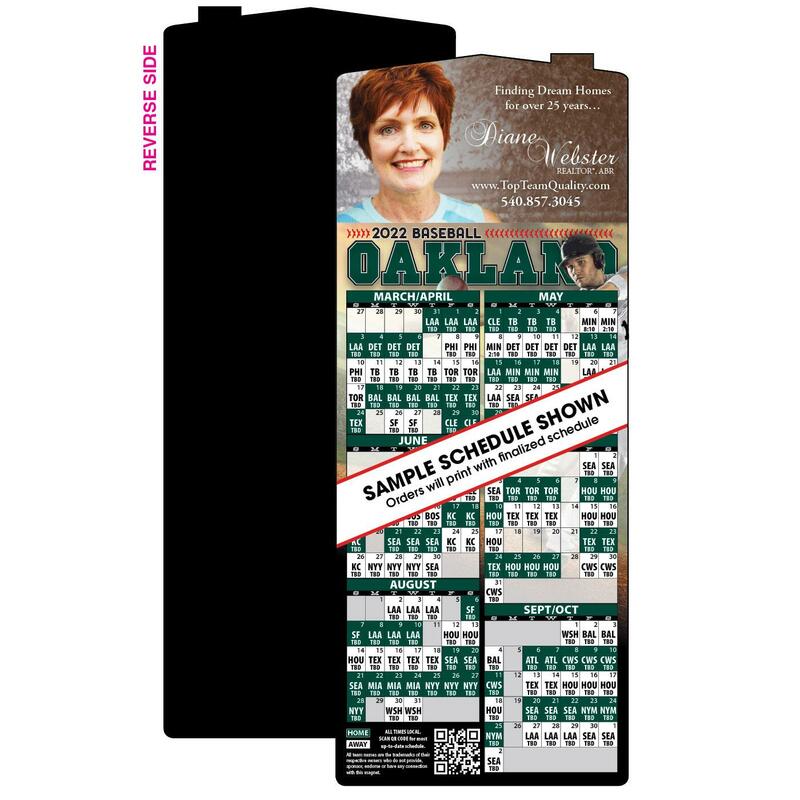 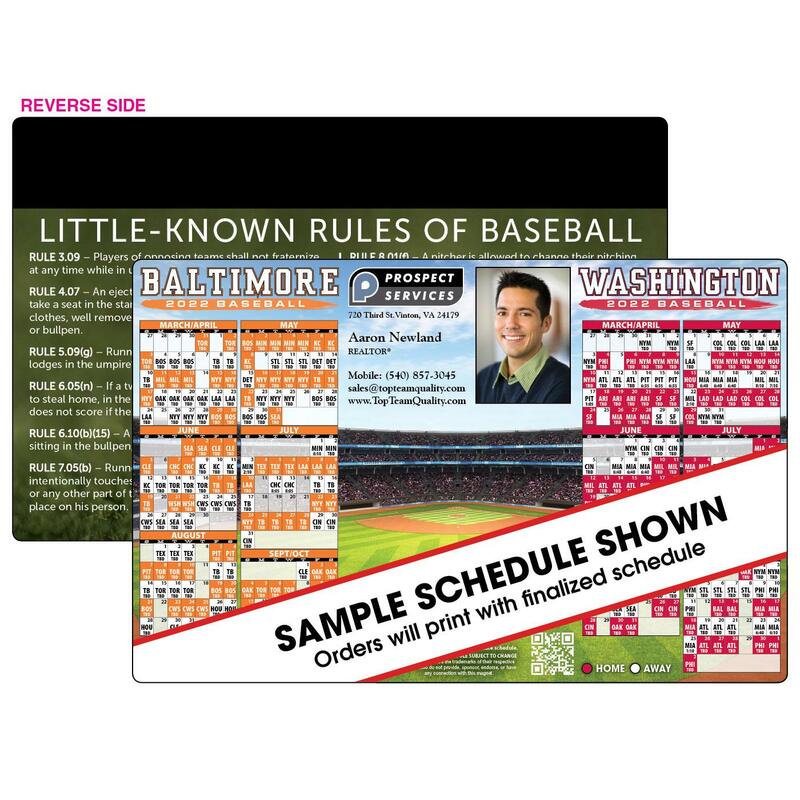 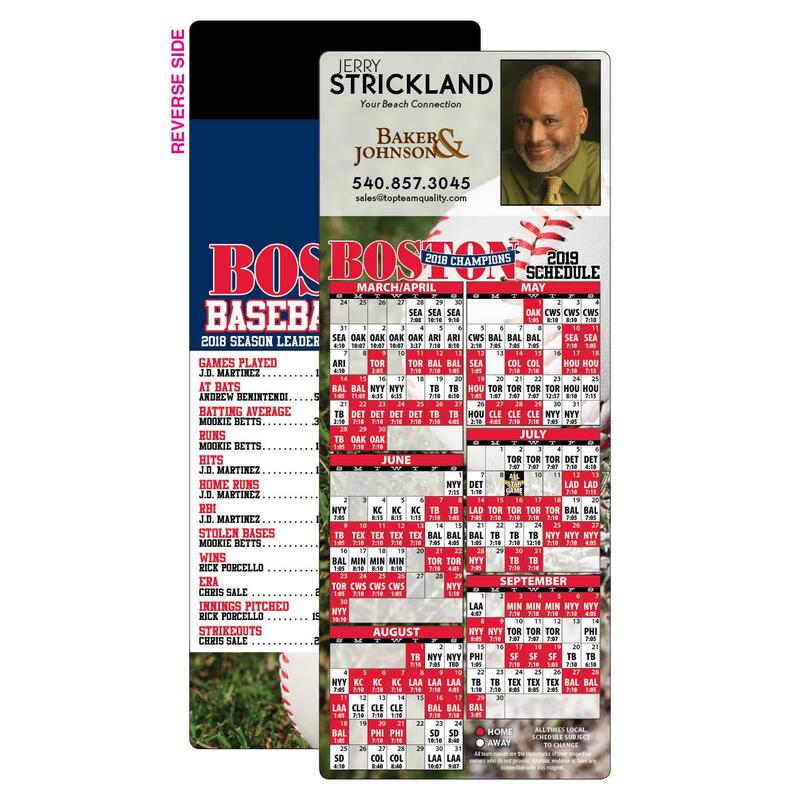 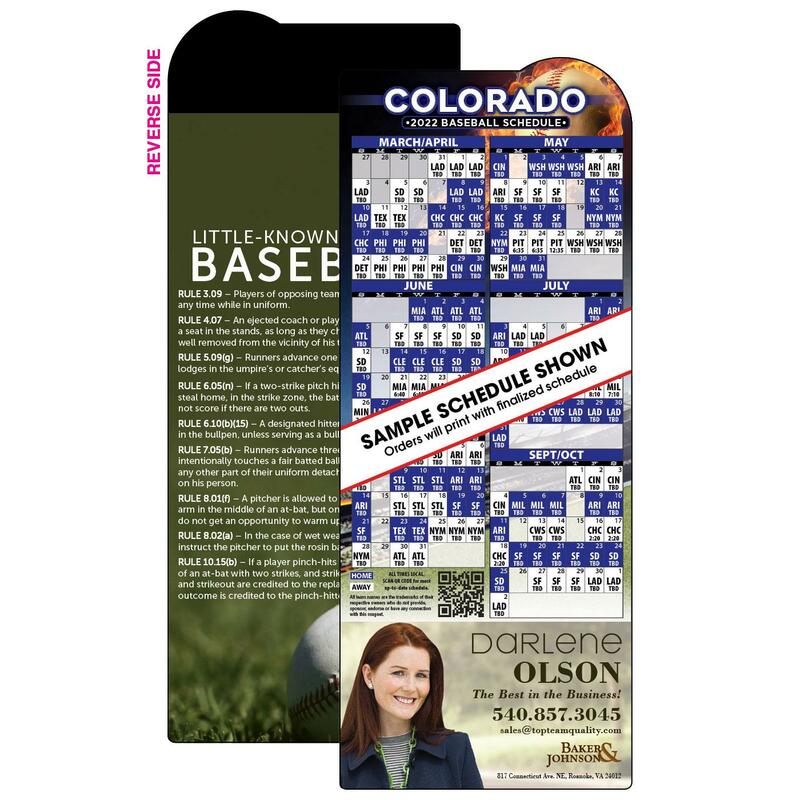 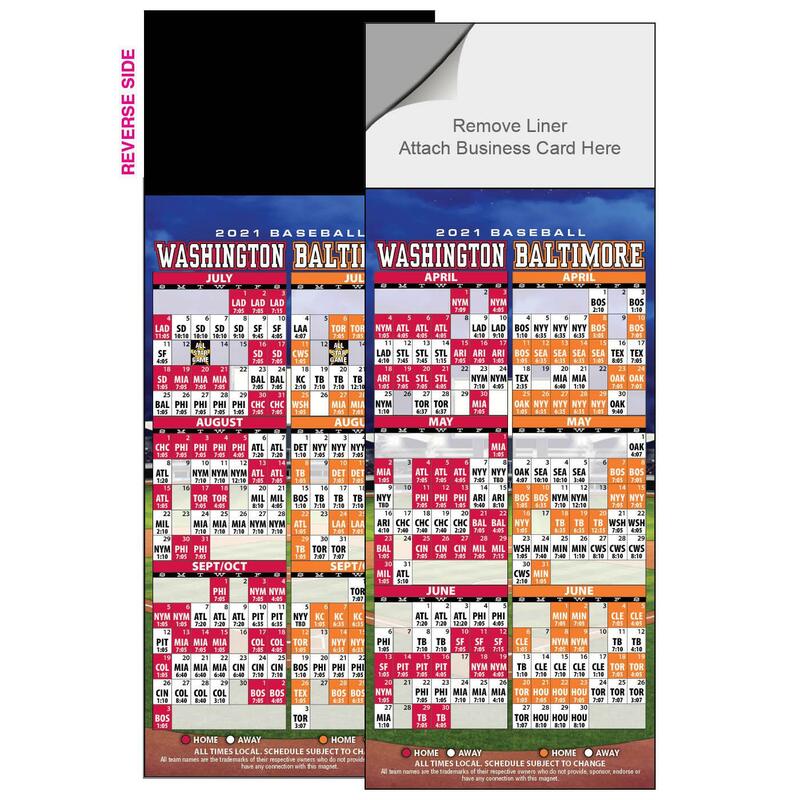 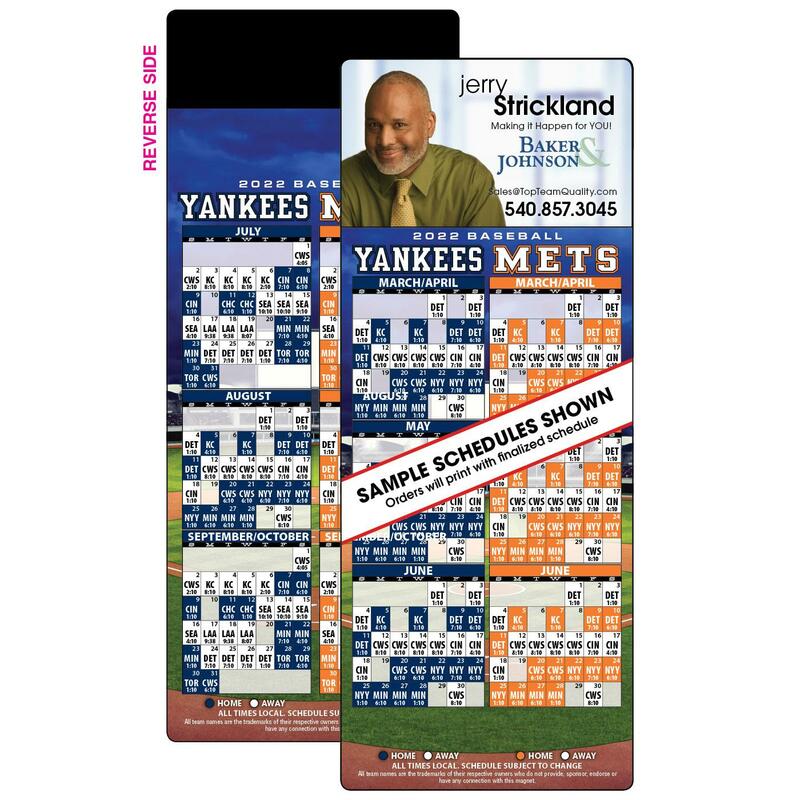 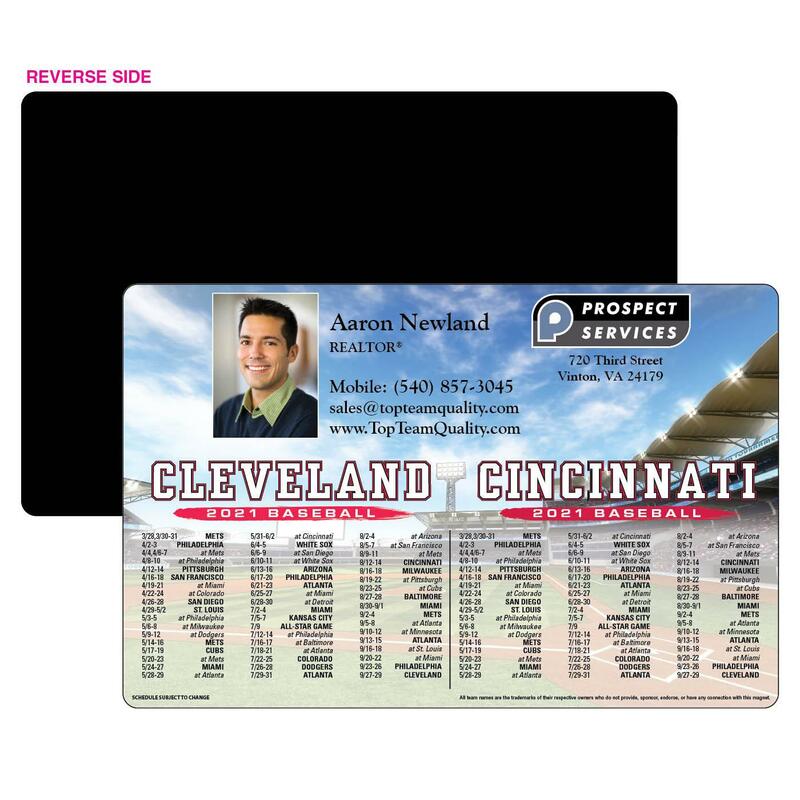 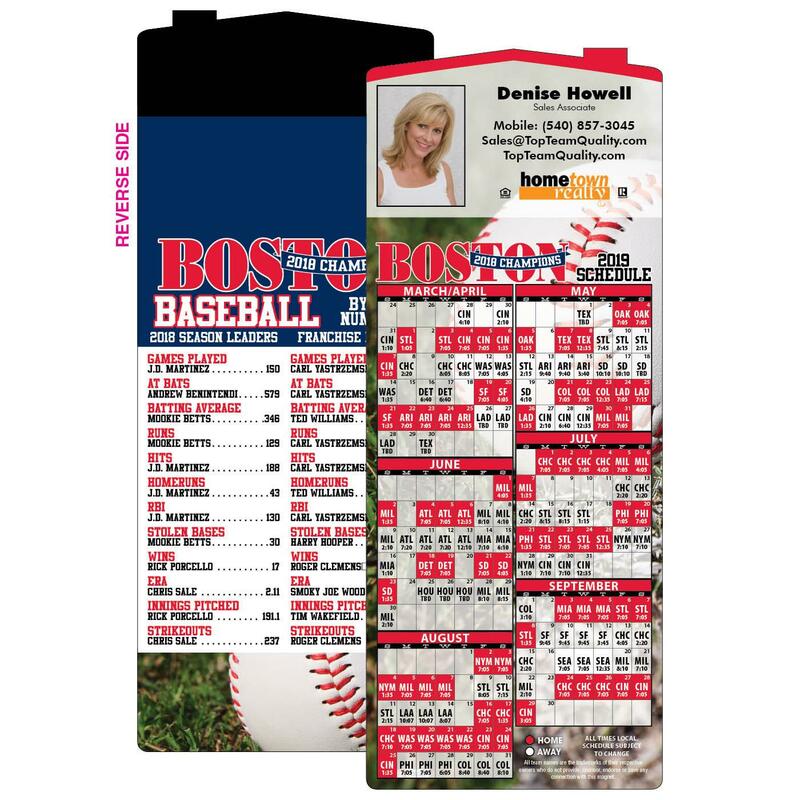 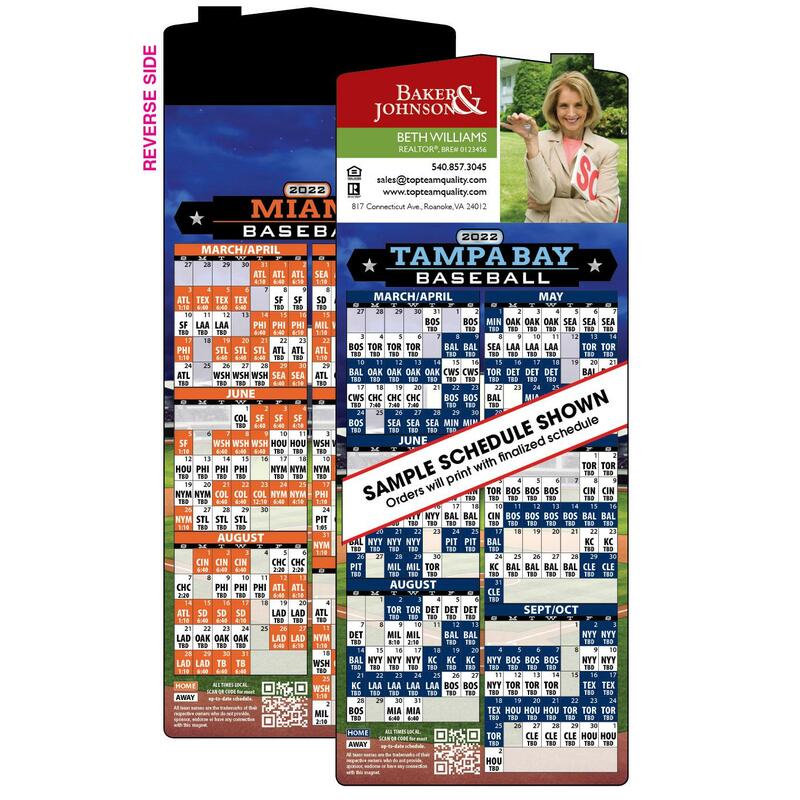 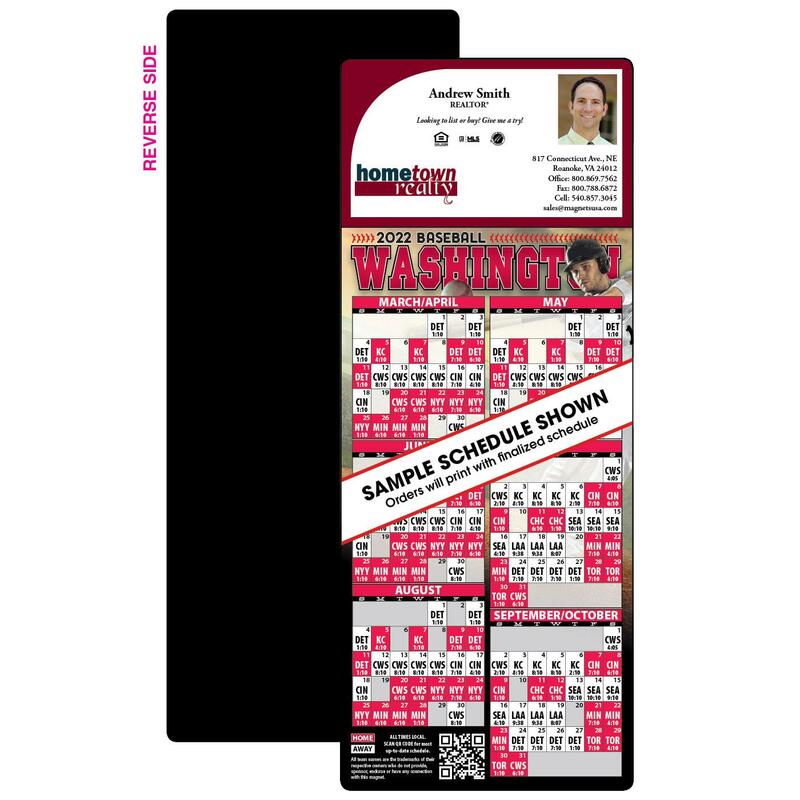 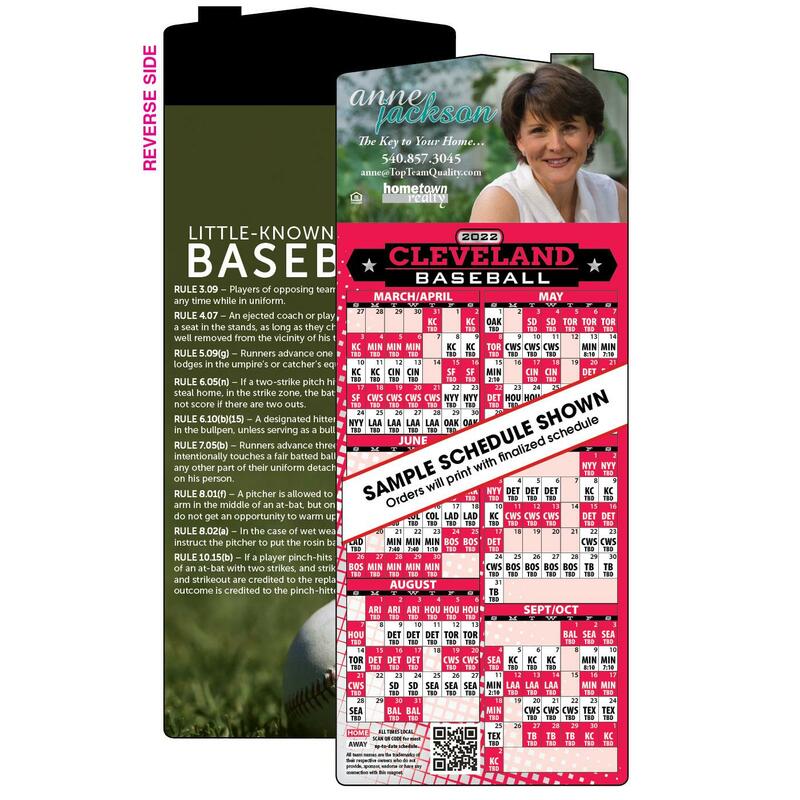 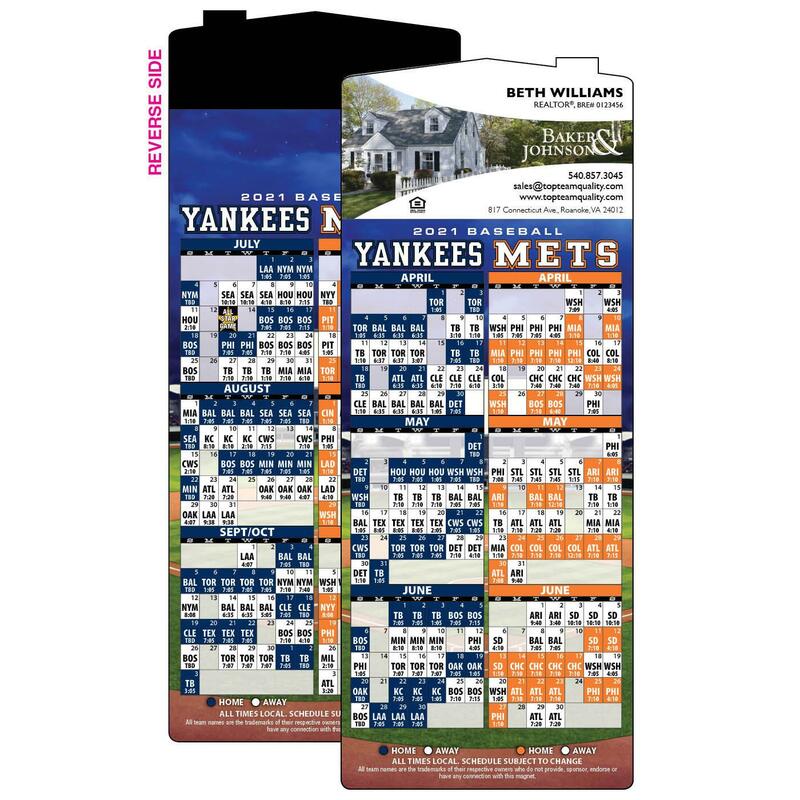 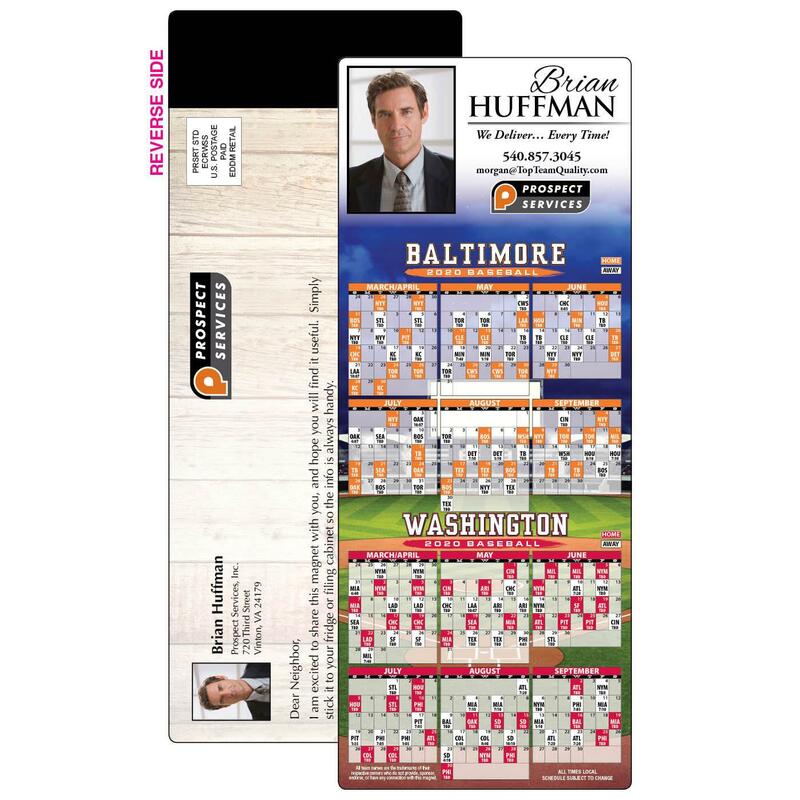 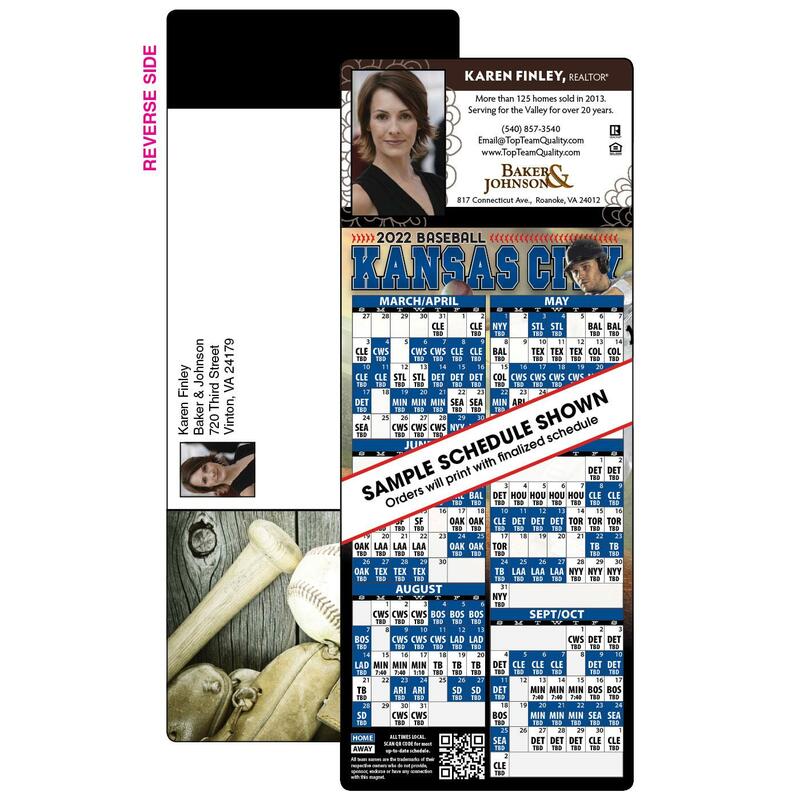 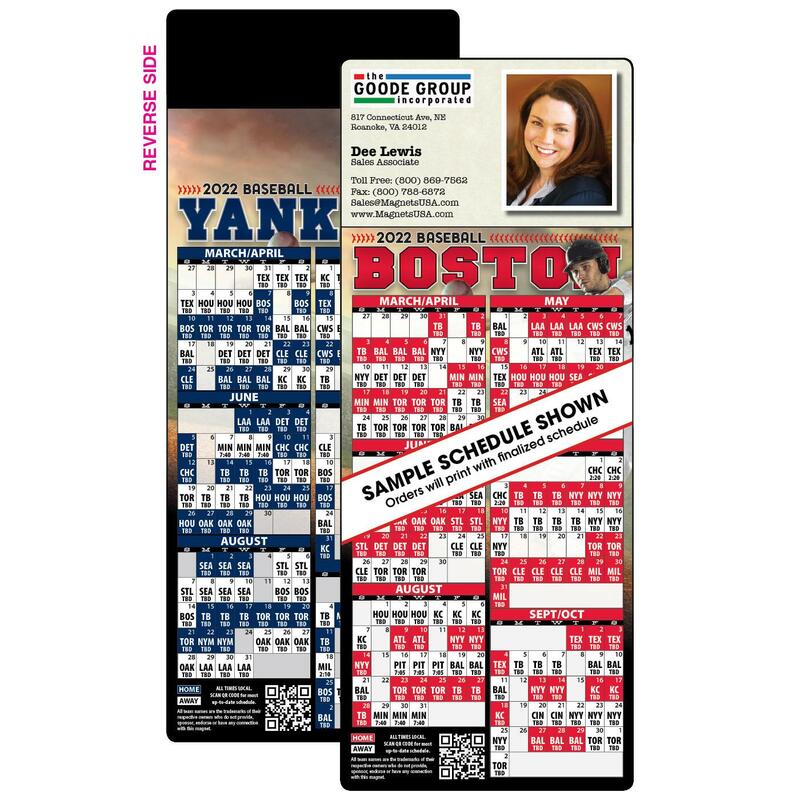 Tap into your clients' favorite pastime with Magnetic Baseball Schedules. 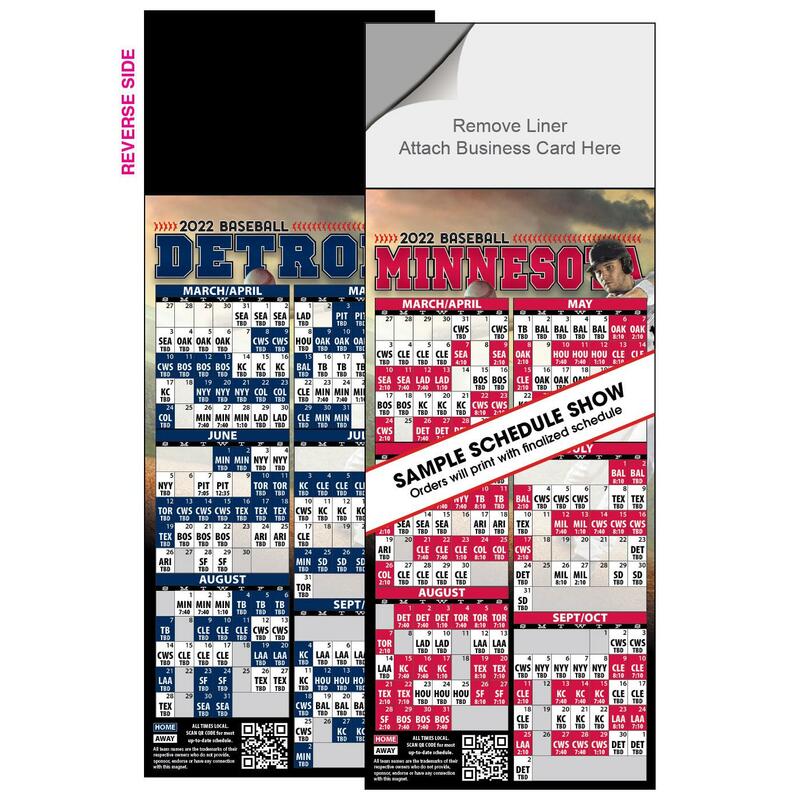 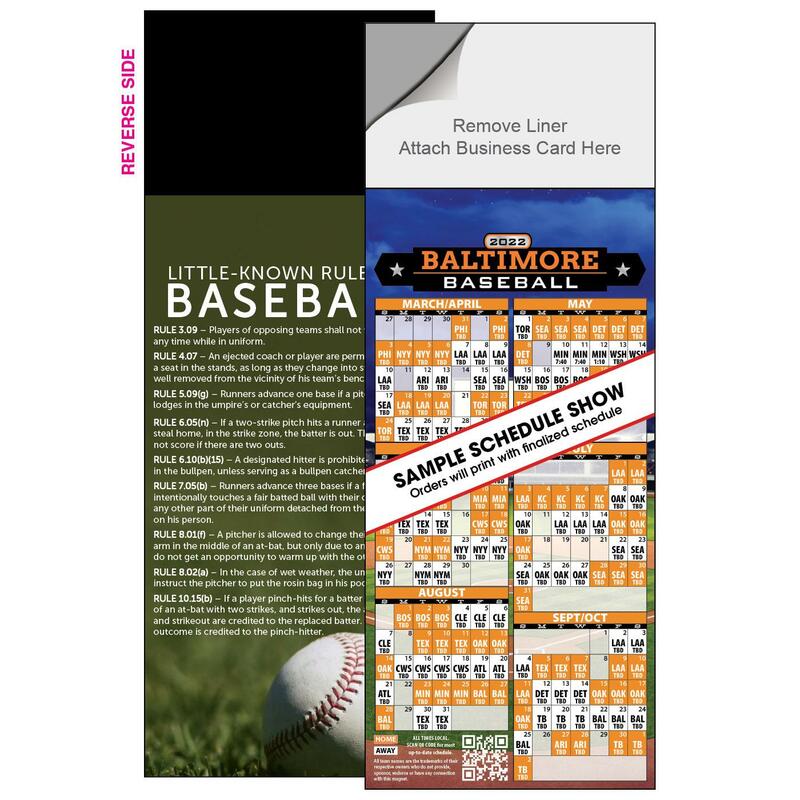 Featuring bright, crisp designs, these popular schedules will send your marketing to the major leagues. 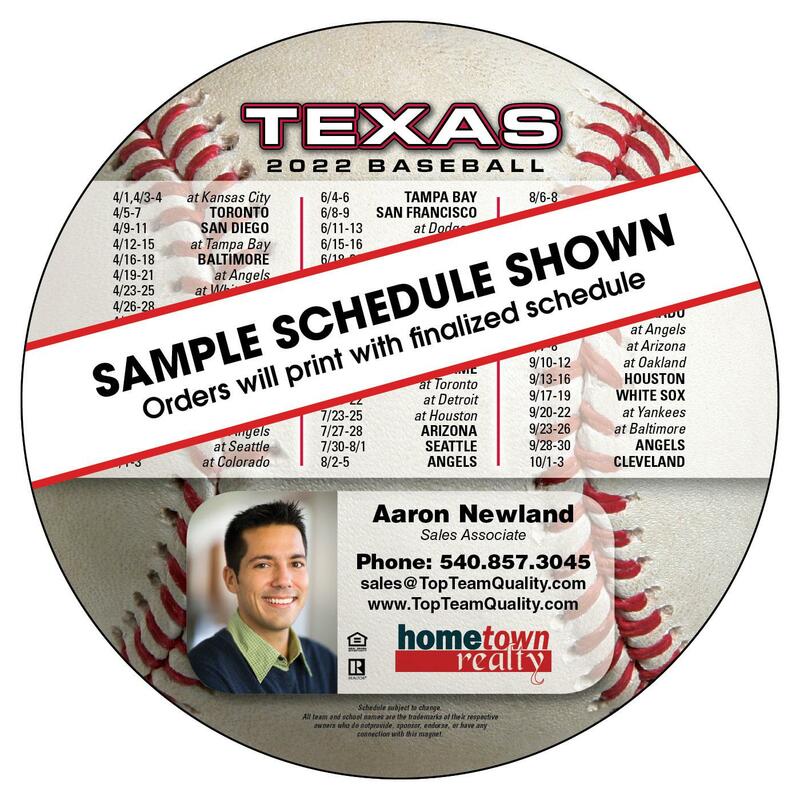 We can make custom-team schedules! 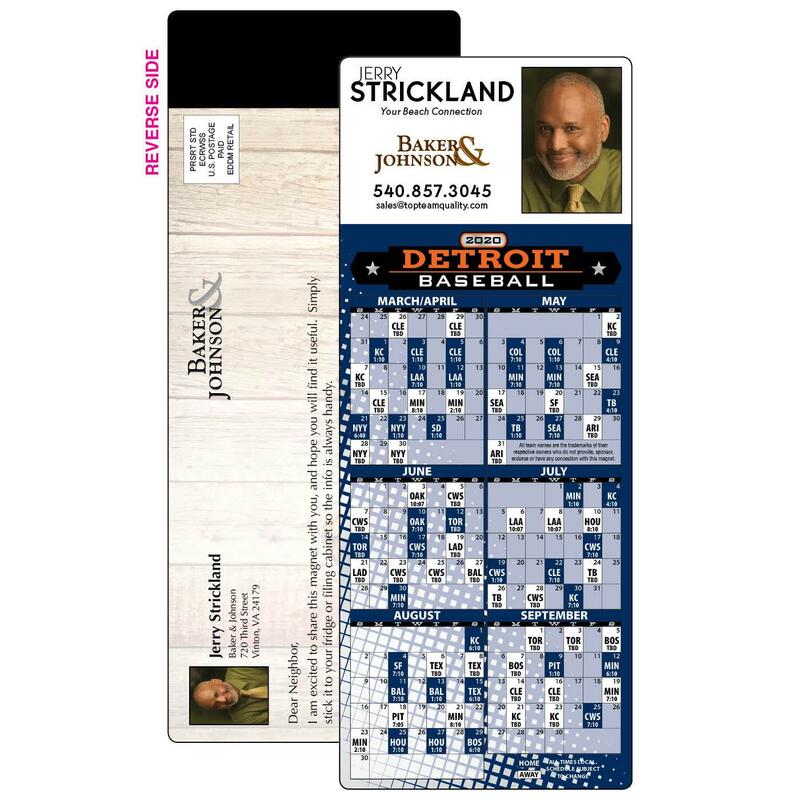 Please call us to learn more. 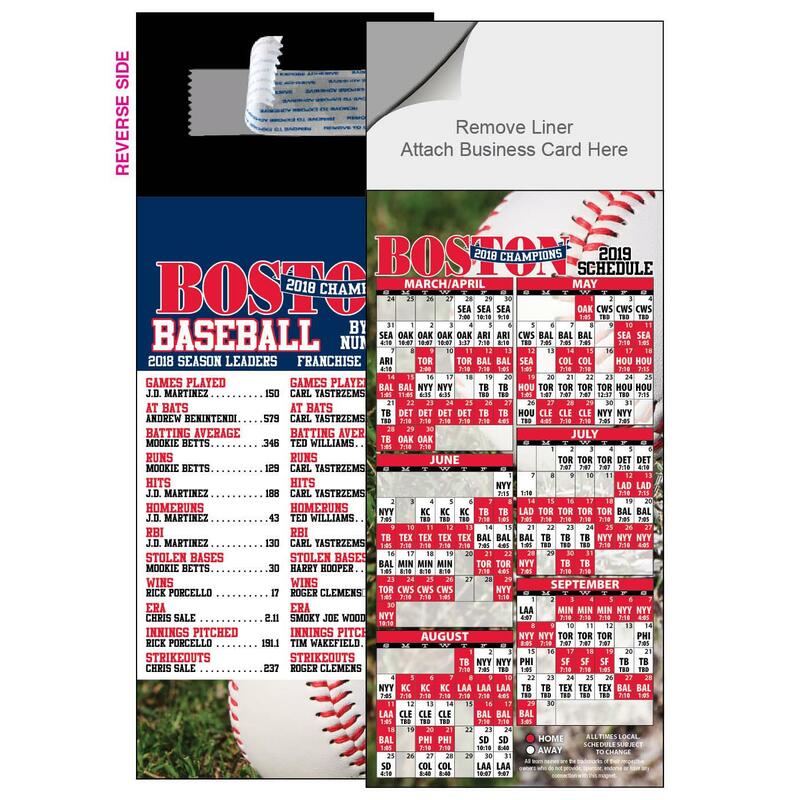 Themed envelopes and Instant Impact Inserts make your mailing a home run!